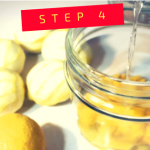 The first step starts with gathering organic lemons directly from farms or from the Amalfi Coast, which could be Sicily, Gargano, Lake Garda or Calabria. Wash the fruit in warm water and gently cleaning it with a sponge. Now comes the difficult part. 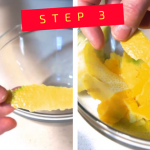 Using a peeler or a kitchen knife, remove the flavedo or zest. In Italian, it is called scorzetta. Make sure to avoid the white part or the albedo which is bitter. Slice it into strips no larger than three centimeters. 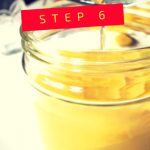 Collect the peel in a glass container with an airtight cap with a capacity of at least 2 liters. 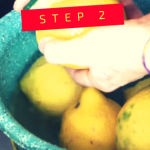 Alcohol is poured in a container, adding the rind gained from the lemons. 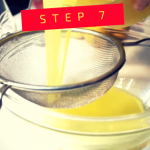 Put the container in a dark place where the zest will remain soaked for 2 weeks to allow the maceration of the peel. It will be stirred gently once a day. You will notice that the aroma and the color of the lemon have slowly incorporated in the instilled liquid. After 2 weeks, prepare the other ingredients. Put the water in a pan and add the sugar. Over medium heat, stir well and let boil. 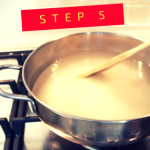 Take the pan out from the fire and let the mixture cool. Do not cheat, do not put the pot in the fridge! Now add the syrup to the alcoholic compound. You will have to store the precious liqueur in the same dark place as before for another two weeks. After a month, the liqueur is filtered and the peel is discarded. 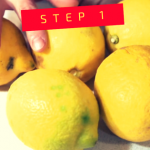 You do not need to use additives or coloring agents; the quality of the lemons will give out its unique taste and aroma. 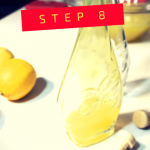 Pour the filtered liqueur into clean, glass bottles and refrigerate.